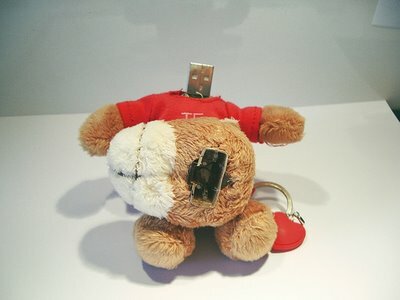 If you like toys, but you also like computers, here is the perfect solution for you.A Teddy bear, that have a USB 2.0 flash drive inside.When you plug your Teddy Bear(that is also an USB) to your computer he looks very funny.I'm sure that girls will love this 2 in one Teddy USB 2.0 Bear. hahaha! 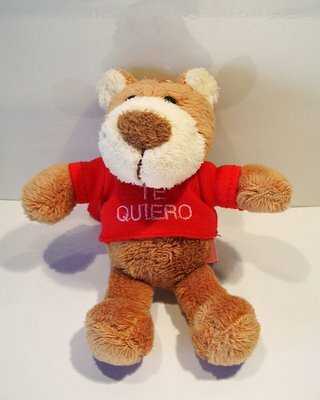 The bear looks suicudal! awww poor lil suicidial teddy bear .. it also looks like a murder scene too ..like someone just shoved it into the port !! 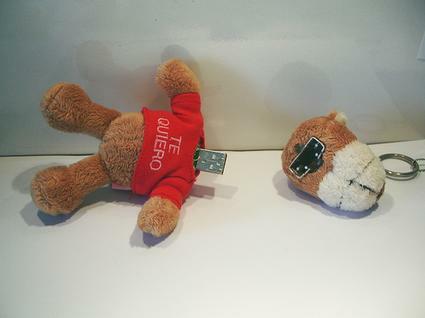 what if the usb was near the crotch? HOW ABOUT YOU MAKE ONE TARD. This thing is AWESOME. I haven't laughed this hard in a long time. I want one of these for myself. Thanks for posting the pics, they're great.